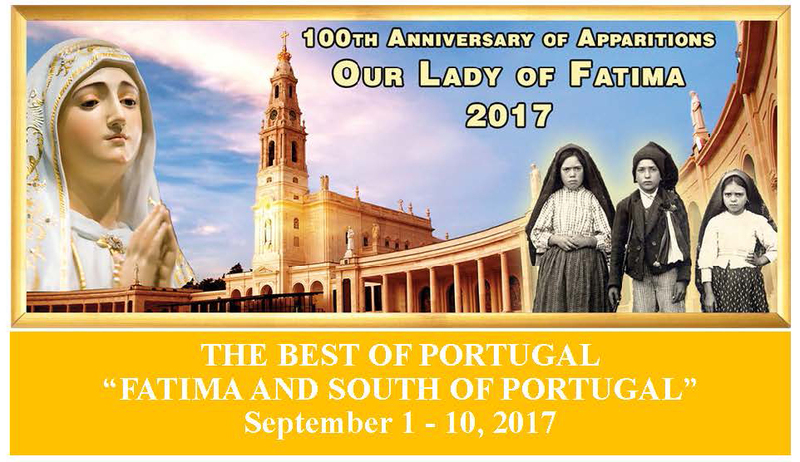 To celebrate the 100th Anniversary of our Lady of Fatima Apparitions, the Macau Cultural Center will be visiting Fatima in September 2017 with members of Casa de Macau, Lusitano, and UMA arranged by Braga Travel. Please contact Maria by Feb 15 at macauculturalcenter@gmail.com or 415-990-5534 if you have any questions or to book your trip. SFO/Lisbon/SFO $1000-1300 depending when ticket is booked and issued. Non-refundable based on airline rules. 100% payment by credit card to confirm pricing. For all those that have signed up or are interested, please contact Maria Roliz by February 15th to complete the registration/payment by email or call/text 415.990.5534 with following details. 1) Copy of passport info with complete name as in passport. 2) Credit card details or mail check payable to Braga Travel c/o Maria Roliz, 582 Market St # 1905, San Francisco, CA 94104 to be received by end of Februrary. DISCLAIMER: PRICING INFORMATION PROVIDED BY BRAGA TRAVEL, MIAMI, FLORIDA, AND UNTIL FINALIZED AT BOOKING, MAY BE SUBJECT TO CHANGE. ALL TRIP CHARGES WILL BE PROCESSED BY BRAGA TRAVEL. NEITHER MACAU CULTURAL CENTER NOR ANY OF ITS OFFICERS SHALL BE LIABLE TO ANY MEMBER OR ANYONE ELSE FOR ANY DAMAGES RESULTING THEREFROM. 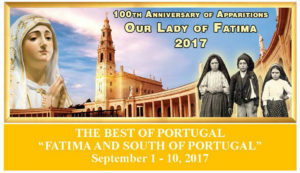 Arrive Lisbon, transfer directly to Fatima. Dinner and overnight at Hotel Lux Fatima 4*. Breakfast at hotel. Free morning. Lunch at a local restaurant. Afternoon visit Tomar and Gruta na Serra de Mira D’Aire. Dinner and overnight at Hotel Lux Fatima 4*. Breakfast at hotel. Morning visit to Vila Viçosa. Lunch at a local restaurant. After lunch depart towards Estremoz. Dinner and overnight at Hotel Vila Galé Evora 4*. Breakfast at hotel. Morning visit Evora. Lunch at a local restaurant. Afternoon drive to Albufeira. Dinner and overnight at Hotel Vila Galé Cerro Alagoa 4*. Breakfast at hotel. Visit Faro, Olhão, Tavira. Lunch at local restaurant. Dinner and overnight at Hotel Vila Galé Cerro Alagoa 4*. Breakfast at hotel. Visit Serra de Monchique, Silves, Portimão. Lunch at a local restaurant. Dinner and overnight at Hotel Vila Galé Cerro Alagoa 4*. Breakfast at hotel. Visit Lagos, Sagres, Cabo de São Vicente. Lunch at a local restaurant. Dinner and overnight at Hotel Vila Galé Cerro Alagoa 4*. Breakfast at hotel. Depart Albufeira for Setubal. Visit Setubal, Serra da Arrábida, Azeitão. Lunch at a local restaurant. Dinner and overnight at Hotel Vila Galé Palacio dos Arcos 5* at Paço dos Arcos, close to beach and 11.5 miles from Lisbon. Breakfast at hotel. Transfer to Lisbon Airport for return flight.